Read the extracts from the saga given below and see what information you can gather about the early inhabit­ants of the British Isles and what conclusions you can draw on the basis of this information. One day Ailill and Medb, King and Queen of Con­naught began to count up their possessions. Although they were equal in every other thing, in jewels and clothes, in sheep and horses and swine and cattle, no bull of Medb’s was equal to Ailill’s White-Horned Bull. Only the Brown Bull of Ulster was as good as the White-Horned Bull. And refusing to be less in anything than her husband the proud queen decided to take the Brown Bull by force. Man after man came against Cuchulainn, and not one went back. In the intervals between these duels, Cuchulainn harassed the army with his sling, slaying a hundred men a day. The fighting was so continuous that Cuchulainn got no sleep, except just for a while, from time to time, when he could rest a little with his head on his hand and his hand on his spear and his spear on his knee. He did not leave his place for a single night. The gods were watching the hero. His exploits kindled love in the fierce heart of the great war-goddess and she gave him her help in his battles. The great queen determined to see with her own eyes this marvellous hero who was putting all her warriors in fear. She sent a messenger asking him to come and parley with her. Cuchulainn agreed and, at the meeting, Medb was amazed at his boyish look. She found it hard to believe that it was this boy of seventeen who was killing her cham­pions. She offered him her own friendship and great honours and possessions in Connaught if he left Conchobar. He refused; but she offered it again and again. At last Cuchu­lainn indignantly declared that the next man who came with such a message would risk his head. He said he was willing to fight one man of Medb’s army every day, and, while the duel lasted the main army might march on, but as soon as he had killed the man, it had to halt until the next day. Medb agreed to this, thinking it better to lose one man a day than a hundred. Then Medb and the druids told him, that if he refused, he would die of shame, and his name would be a reproach for ever. And Ferdiad obeyed the order of the queen. Cuchulainn saw Ferdiad coming and went out to welcome him; but Ferdiad said that he had not come as a friend, but to fight. Cuchulainn begged him. by the memory of those old times when they had been together in Scathach’s Island to go back. But Ferdiad said he could not. They fought all day and neither could overcome the other. At sunset they threw down their weapons and kissed one another and each went back to his camp. Ferdiad sent half his food and drink to Cuchulainn, and Cuchulainn sent half his medicines to Ferdiad, and their horses were put in the same stable, and their charioteers slept by the same fire. And so it happened on the second day. But at the end of the third day they parted without word of friendship, knowing that on the morrow one of them must fall, and their horses were not put in the same stable that night, neither did their charioteers sleep by the same fire. The fourth day saw the end, for though they were equal in arms and battle, only Cuchulainn could use the terrible sword and with this he killed his friend. While Cuchulainn was engaged in these duels, Medb broke the agreement and her army made a raid on Ulster. They found the Brown Bull and drove him, with fifty cows, into her camp. It was this time that the curse came to an end, and the men of Ulster took up arms and pursued the cattle-plunder- ers. Then was fought such a battle as had never been be­fore in Ireland. Medb’s army fled and the Brown Bull of Cooley was driven into Connaught. There he met Ailill’s bull, the White-Horned. The sight of one another was a signal for a terrific fight. The whole province rang with the roars of the two bulls. Men, women and children, hid themselves in caves. At last the Brown Bull raised the enemy on his horns and tore him into pieces and went hack to Cooley. - Ancient civilization. The level of economic and cultural development characteristic of slave society. - Before Christ. We begin to count the years of our era with the legendary birth of. Christ. This is why “before Christ” means before our era. The abbreviation is В. C. The years before Christ are counted back from “the birth of Christ”. 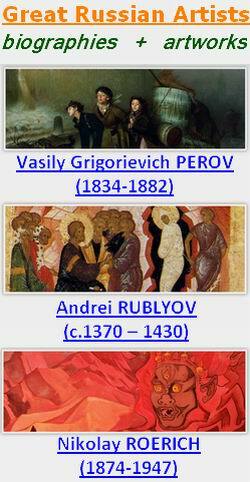 Thus the 6th century В. C. was before the 5th cen­tury B.C. - A. D. Our era. The abbreviation of the Latin words Anno Domini which mean “in the year of Christ”. After the 1st century В. C. comes the 1st century A. D.